Scotland responded well to a testing Irish target to win their tri-series 50-over match by five wickets at The Grange in Edinburgh. Ireland raced to an impressive 320-8 with Paul Stirling and Alex Cusack respectively contributing 113 and 71. But Scotland fought back, registering 323-5 with nine balls to spare after Kyle Coetzer made 89 and Richie Berrington added 56 runs. 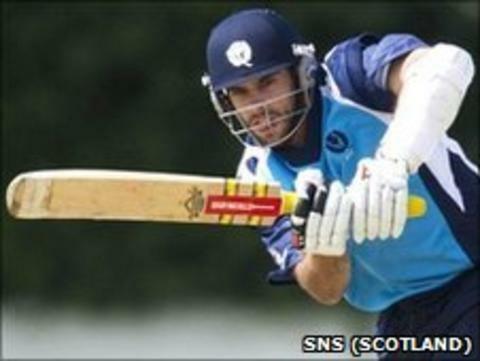 The Scots could clinch a series victory with a win over Sri Lanka on Wednesday. That match will be broadcast on Radio Scotland 810 MW and online from 1030 BST. Andrew Poynter scored 51 for Ireland while Boyd Rankin and George Dockrell took two wickets apiece.